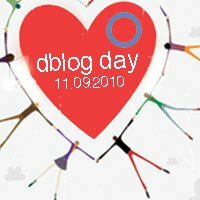 It's November 9 - the 6th annual DBlog Day for bloggers with diabetes. Go here for a list of all the other PWD who are d-blogging it up. This year's topic is "6 Things I Want You to Know About Diabetes." This is the fact that surprises most people. Blood sugar levels are highly volatile in people with diabetes, changing within minutes due to the most seemingly insignificant stimuli. As with heartrate, the act of getting out of bed or having a cup of coffee is enough to trigger change. Work stress, illness, temperature, humidity, food, exertion, menstrual cycle, insulin...all of these factors must be taken into consideration when managing my numbers and dosages. The patient is doctor, nurse, nutritionist, statistician, and mathematician. I can follow the same routine day after day and see staggeringly different results. I can go from 30-500 in a day where your body rests near a comfortably level 90. ...which leads me to the next point. Mental exhaustion. It's constant vigilance. It's check, adjust, estimate, eat, check again, correct, regroup, strategize, check again, evaluate, plan, prepare. All day. Every meal. Every outing. Being prepared for what could happen. Did I pack backup pump supplies? Snacks? Insulin? Test strips? Batteries? Adhesive? Band-aids? Am I wearing my ID? It's looking at a plate of food and estimating that that slice of pizza is about 35g of carb, but about 10g of fat, so you need approximately X units of insulin, with Y% up front about 20min before it gets to the table and Z% over the next let's-try-3.5hours-this-time. Then it's adjusting when the restaurant brings you the wrong order or refills your diet with regular and you don't catch it, then re-evaluating everything when you wake up halfway through the night at 397 mg/dL and you have ketones in your urine or you're vomiting. People with diabetes are TIRED. The first two comments out of someone's mouth when I bring up diabetes are usually "my [insert acquaintance] has that and he/she [insert utterly ridiculous comment proving speaker's ignorance of diabetes treatment/cure/diet/complications/risks.]" and then a barrage of questions on why I got it. First of all, your uncle isn't 'cured' of type 2 because he lost weight (he's just well-managed), your grandma didn't 'become' a type 1 because she added insulin to her treatment (her body needed it), telling me that Aunt Sue lost her feet is in poor taste (seriously), and, most importantly, unless you are directly involved in that person's self-care (spouse, caregiver, parent), you don't really know what you think you know about diabetes. It's not that I think you're stupid. You just legitimately don't know the details - like that type 1, type 2, gestational, MODY, and LADA have different paths of development and different stages and types of treatment. You don't know that I'm not trying to 'get off insulin' because my body can't make it anymore and isn't going to 'start' if I join a gym and lose some weight. You're trying to relate to me. I appreciate that. But it's like telling a man on fire that your sister lives where it's hot outside. I may feel compelled to point out the differences. Call me self-righteous. I call it a teachable moment. But I'm convinced that part of the reason you want to share these details with me is that, on some level, you wonder why this condition hit me (who looks young and healthy like you) or your blood relative (who is neither young nor healthy)...and not you. When I tell you how I was diagnosed in a coma as a child, you understandably imagine your own child and it scares you. 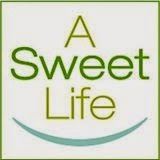 So you ask if I had a family history (no), if I ate too much sugar (no), if my lifestyle was unhealthy (no). We don't know what caused my body to attack itself. Type 1 is an autoimmune disorder. My immune system fired its own cannons on the cells in my pancreas that produce insulin. That's it. That's what they know. Like many at diagnosis, I had been thirsty, urinating frequently, had fruity breath, and then went comatose due to a condition called DKA where the pH of my blood became too acidic and I started to lose organ functioning. My body was full of sugar and yet my cells were starving. The ER staff acted quickly and saved my life. I would like to tell you that it can't happen to you or your child...or mine...if you just do X, Y, or Z, but I can't. I'm sorry. What I can tell you is that I'm fine and I live a good life...and, in time, you'd be fine, too. It's unlikely that it would happen to either your kids or mine, but nevertheless, know and recognize the signs to catch it ASAP. That's the only comfort I can offer. There is no such thing as a 'diabetic diet' other than the diet to which we should all adhere. You know that food pyramid that we barely acknowledge? The talk about whole grains and low fat and moderation, exercising regularly, eating your veggies...that's all I'm expected to do. I am at liberty to eat whatever you eat. That doesn't mean that either of us should be eating it. I'll count to three and we'll both put down the cupcake, okay? But don't look at me as though you're any better behaved if we both choose to indulge. The only difference is that I need to know how many grams of carbohydrate to take insulin for. If I had type 2, the cupcake would present different challenges. But it would still be my business whether or not I ate it. I wear an insulin pump and a continuous monitor and prick my finger 8 times a day. Your dad takes Merformin and watches his diet for his type 2. Your college roommate took injections and tested 4 times a day for his type 1. Aunt Sue takes a shot of insulin at night and tests every morning for her type 2. We all have diabetes. We are choosing different treatment methods based on what works best for our control and on our various needs. I don't have it worse because I'm choosing technologically advanced treatment methods. That's like saying someone with an iPhone makes more important calls than someone with a desk phone because one phone is more feature rich. I take insulin because my body doesn't produce it and my doctors and I choose how I take my insulin based on the available options and my dosaging needs. A pump and CGM allow me to fine-tune my numbers and doses to the levels that help me achieve control. There isn't a "bad" kind of diabetes and I don't have it "worse." All of these six things I want you to know boil down to me helping you understand what it takes to control my (and ANYONE's) diabetes. We are individuals with different needs. Managing this condition is a daily challenge. So before you ask if we are "well-controlled," you need to know what you are asking. Precise, simple and to the point. Well done! I love that you're breaking the cycle of ignorance with this. The stigmas associated with medical conditions infuriate me. If people would all just get off our high horse and stop assuming we know everything, it would go a long way, no? How about just saying, "I don't know very much about diabetes (or depression, or crohn's disease, or neuroblastoma, etc). Can you tell me what it's like for you?" Awesome post, Melissa! Oh, on the diabetic food point... I love it when someone tells me they have a "diabetic ice cream" I CAN eat... I want to respond: 1.) Oh, how do you know the ice cream is diabetic? Does it have a label that says non-working pancreas?" Usually, I just grumble and ignore it or say thanks, but sometimes turn to: "I CAN eat that, regardless of the sugar-content." Thanks for your post! OMG I absolutely love the term "AWD," and the man on fire example. (Actually, the man on fire one made me laugh out loud for real.) Great post, Melissa! this is great. a teachable post for sure. Fantastic post Melissa - thank you! Really just an awesome post! I love your reference to being “well-controlled”. If you read my post for D-Blog Day you’ll know why. Again, great post!! WOW...great post Melissa. Lots and Lots of "teachable" moments. I love the acquaintance part...so, so, so true. I hate when people tell me about the lobbing off of feet and legs and deaths in front of Joe (my 7 year old type 1 kid) UGH. This was great! I just found your blog and will be following, nice to meet you!!! I found your blog through your friend Susan. I had gestational diabetes with both pregnancies. This is such an informative post. I learned so much. Thank you.